And the Winner Is . . . but first . . . can I get an Amen? Okay folks, sorry for my absence yesterday. I know you were eagerly anticipating my selection for Outstanding Lead Actor in a Comedy Series, but I was just a LITTLE too distraught to write yesterday as one of my favorite lead actors in not one but two comedy series–though he never actually won an Emmy–passed away yesterday! Yes, my friends, I am talking about my friend and yours, Sherman Hemsley, aka George Jefferson, aka Deacon Earnest Frye. Can I get an Amen as he’s movin’ on up to heaven??? I could go on and on about Sherman, but this DVR-phile has to take a shower and go to work, so let’s move on, not up. 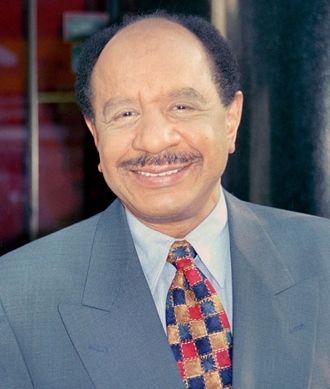 RIP Sherman Hemsley. First of all, notice that there are only 6 nominees as opposed to the 7 women that were nominated for lead actress. See, WOMEN ARE FUNNY! Second, this will be easy since I only watch half the shows and I’m running late so while you, my readers, are an absolute top priority in my life, so is my paycheck from my job. Let’s go on. First, I’m eliminating Jon Cryer because he’s on the show Two and a Half Men. 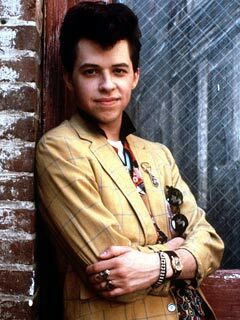 He peaked 25 years ago as Duckie in Pretty in Pink. At least his character’s name is not Blaine. That’s a major appliance! Second, Jim Parsons is out because he won last year and I don’t watch The Big Bang Theory. 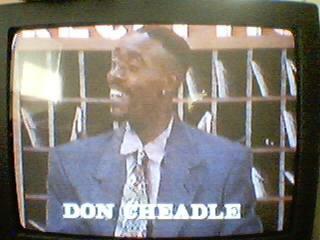 This breaks my heart but I have to cross Don Cheadle off the list not only because I don’t get Showtime (though I’m reconsidering my stance), but because he should have won 20 years ago for his supporting role in the greatest spin off in the history of the world, The Golden Palace. I’d check into a hotel where Cheadle is working, especially in Miami, which is so nice that I’ll say it thrice! And then there were three: Alec, Larry, and Louis. As much as I love Alec as Jack Donaghy, I can’t get over his personal life and how rude he is to flight attendants and baristas at Starbucks, so he will not receive the Emmy. And while Curb is perhaps my favorite comedy of all time, is it really so difficult for Larry to play Himself, a neurotic Jew? Which brings me to my final candidate, Louis C.K., who also plays himself, sort of, so I guess my last point against Larry is moot. Whatevs. However, there is something so earnest and genuine and really about Louis on this show that I really want him to win the Emmy. In this season’s episode “Miami,” he explores the fleeting joy of vacation and meeting a potential new friend. It’s a simple story, but an interesting one, and his conversation with Ramon the hot young lifeguard where they are trying to figure out if one of them is gay is priceless. Of course, I can’t find the video of this but I do have a picture! Miami is nice, and I’ll say it thrice . . . again. And so are those biceps. Who I Want to Win: Louis C.K. Who Will Win: Jim Parsons–everyone loves a geek!